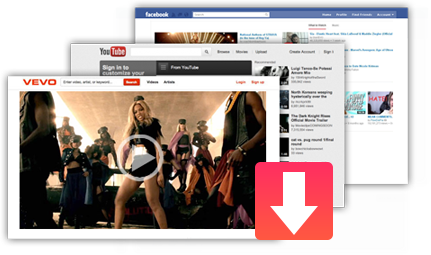 WMV is a very popular video container which was used by producers to store music video files to a great extent than thought possible. However, WMV is developed by Micorsoft and it is compatible with Windows OS. So, many of you would like to convert WMV to MP3 so as to play on more computers like Mac OS X (El Capitan/Yosemite/Mavericks) and to save on portable MP3 player like QuickTime player that allows you to listen to music anywhere anytime. Trying to figure out how to convert WMV to MP3? Read on this article to know how to download and convert WMV to MP3 with a free WMV to MP3 converter. How to Download and Convert WMV to MP3? The question is simple, so as the answer. You only need a free WMV to MP3 converter - 5KPlayer. 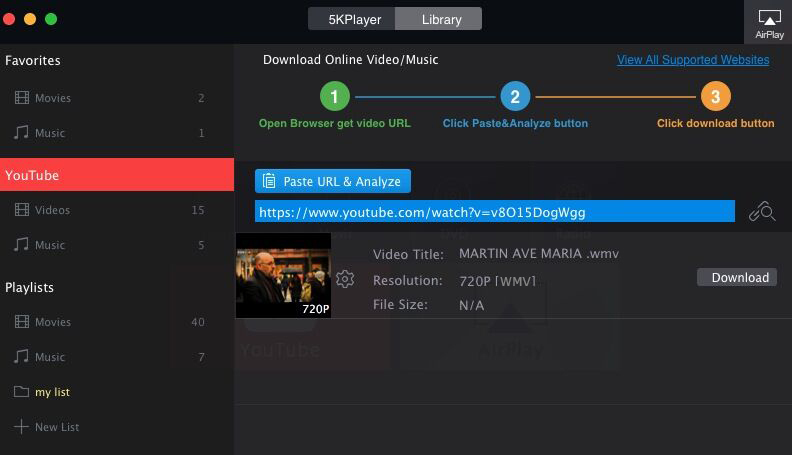 With cutting-edge technology, 5KPlayer allows you to free download WMV files from YouTube, Vimeo, Dailymotion,etc and convert them to MP3 AAC FLAC music without any quality loss. To better convert WMV to MP3, you first need to know something about WMV. Windows Media Video (WMV) is a compressed video file format developed by Microsoft, so WMV files use Microsoft proprietary codecs that are compatible with Windows Media Player and don't work in Mac OS X (El Capitan/Yosemite/Mavericks). How to convert WMV to MP3 and play on Mac OS X? 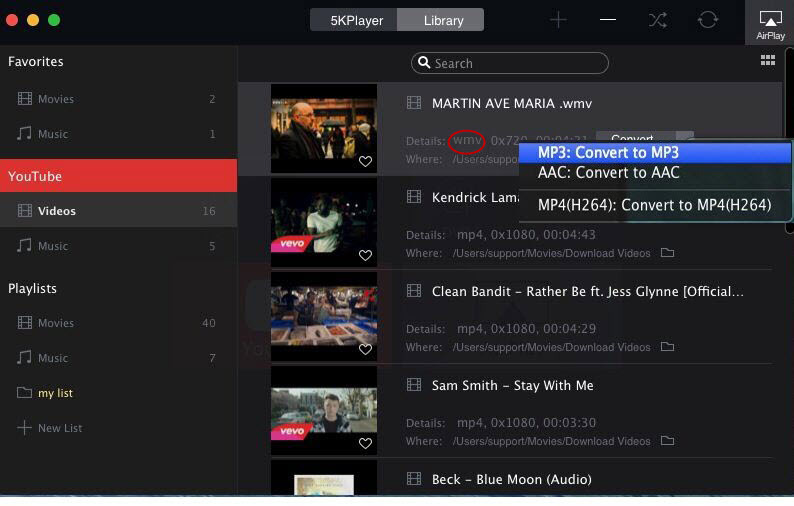 Maybe you can try the best free WMV to MP3 converter - 5KPlayer on your Mac/PC which not only can download and convert WMV to MP3 but also supports playing WMV files on Mac (OS X 10.11.4 and before) and Windows 10/8/7. 5KPlayer is a free WMV to MP3 downloader and converter which gives you the liberty to download almost all files with .wmv extension and MKV AVI FLV etc videos movies from over 300+ online video sites like YouTube, Dailymotion, Vevo, etc and convert those WMV video files to MP3 music files with no quality loss. This free WMV to MP3 converter extracts sound tracks from videos which allows you to convert video to audio format easily with the original quality remains. With this free WMV to MP3 converter, you can also free convert AVI to MP3 and convert MPEG to MP3 as well. The downloading and converting process is pretty fast and efficient, and you can download and convert WMV to MP3 in high quality with this WMV to MP3 converter now! 5KPlayer never ends with that function, it is born to be a multi-functional media player that can play any files like play region DVDs, 4K 8K UltraHD videos, MP3 AAC OGG music songs, etc. Besides, it is armed with AirPlay ability that you can Airplay WMV AVI MKV DivX files to Mac/PC/Apple TV from iPhone (SE/6s/6s Plus), iPad/iPad Pro, iPod, etc. Step 1: Download and install this free WMV to MP3 converter on your Mac/PC. Step 2: Click "YouTube" button on the main panel of this WMV to MP3 converter. Step 3: Go to this WMV to MP3 converter supported online video sites like YouTube and then copy the URL of any video with .wmv extension. Step 4: Paste the URL in the address bar to start download the WMV file. Step 5: After finished downloading WMV file, click "videos" under the "YouTube" bar on the left, in where you will find the WMV file you just downloaded, and then click "Convert", choose "MP3: Convert to MP3" from the appeared menu to start convert WMV to MP3. In addition to free download WMV to MP3 music format, this outstanding WMV downloader makes itself extraordinary from other WMV to MP3 and conveter due to its remarkable features of multifunction: playing music and videos in almost all formats, playing region free DVDs, and streaming media from iOS (iPhone SE/6s/6s Plus included), OS X (OS X 10.11.4 and before), Windows 10/8/7 to Apple TV. Good looking and easy to operate, 5KPlayer can be your best assistant to help you download WMV to MP3. This is the best free AVI to MP3 converter helping you to extract audio tracks from AVI and convert to MP3. How to Free Download MP3 Music? Best solution to download free MP3 music with high quality directly from the music sites or use a Free MP3 music downloader.